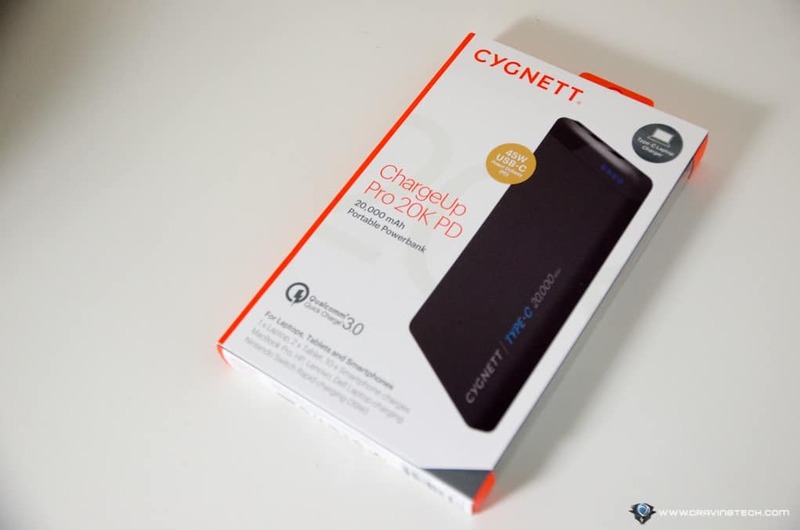 Cygnett ChargeUp Pro 20K Review – When you have to carry more than just a single mobile device with you, it can be quite challenging to keep them all charged up. 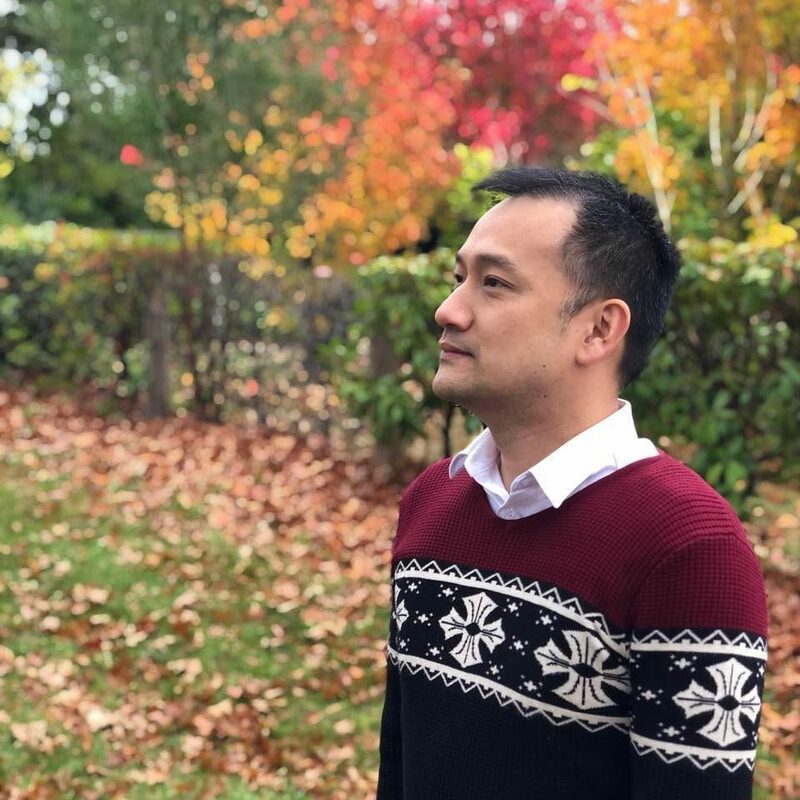 Nowadays, we’d often have to carry a smartphone, a tablet, a wireless headphones/earphones, a laptop, and probably one or two more portable/wireless devices. Add the new, portable Nintendo Switch console into your daily commute and the number of power-hungry devices grows. 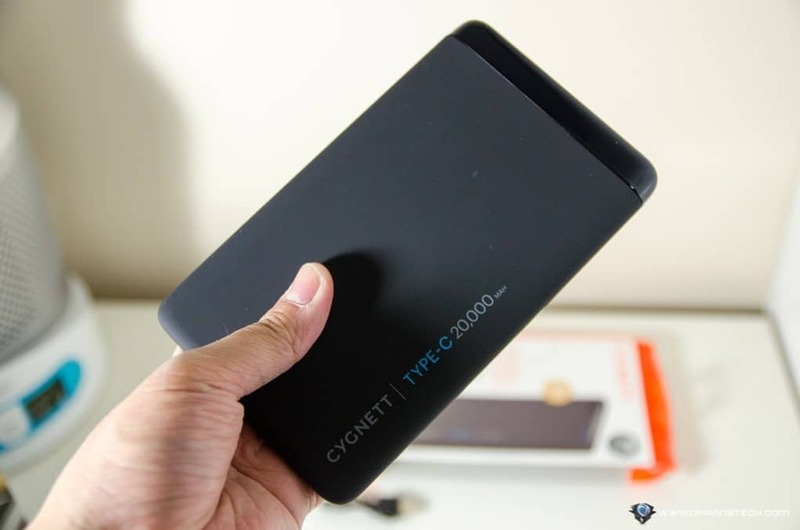 Cygnett ChargeUp Pro 20,000mAh USB-C Power Bank that we are going to look at today, is a power bank that you can carry around with you and charge your devices up, including laptops and MacBook. So yeah, it literally is just a power bank without any bells and whistles like having built-in speakers or flashing lights. However, it does its job really, really well! It has a 63W total output and a 45W USB-C port with Qualcomm 3.0 Fast Charge (QC 3.0) technology to charge supported devices faster. 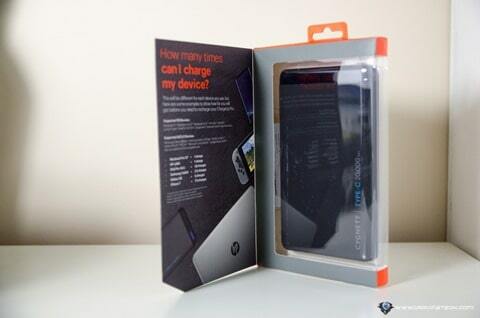 To see whether your device supports it, Cygnett has a handy list on the product page. For example, Samsung Galaxy Note8 supports Fast Charging where as the new iPhone X does not. 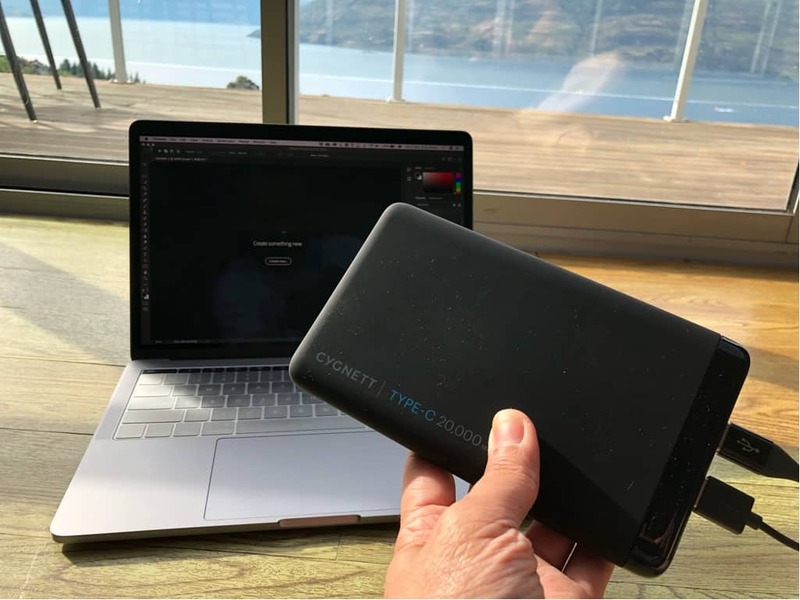 With Cygnett Power Delivery technology, the power bank can detect which device is connected and then outputs the optimal amount of power accordingly. This means that you do not need to understand how things work and just let the power bank does its magic behind the scene. This mechanism allows USB-C output to let out 45W compared to the standard 15W USB-C port. A MacBook Pro 2017 or the Razer Blade Stealth 2017 should work really well with the ChargeUp Pro too. The power bank comes with 1x USB-C port and 2x USB-A ports, and surprisingly, you can use them all simultaneously! So, you can charge a laptop, a phone, and a wireless headphones all at the same time! If that sounds too scary to you, don’t worry. The ChargeUp Pro comes with a safety surge protection to keep things out of hand. The 4 LED display will let you know when it’s running out of juice. 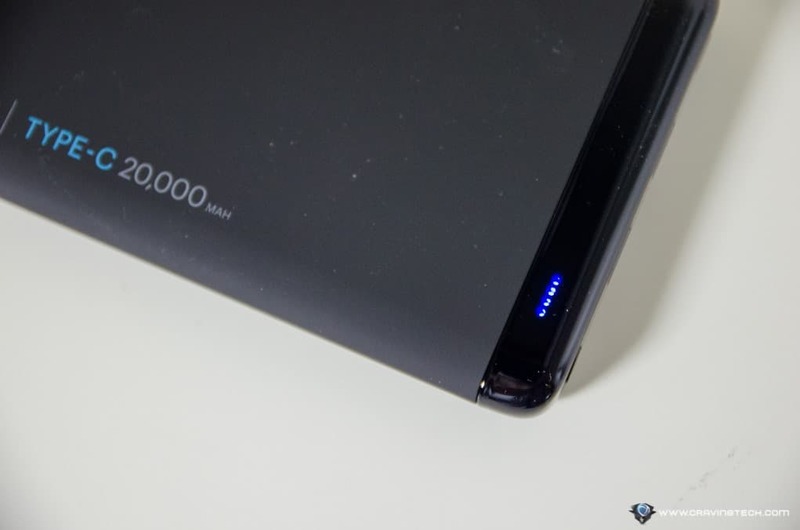 It will take a whole night to charge it from empty to full, but we are talking about a huge 20,000mAh capacity to fill here. It weighs 450 grams but worth all the weight if you are travelling for a whole day without access to a power socket. 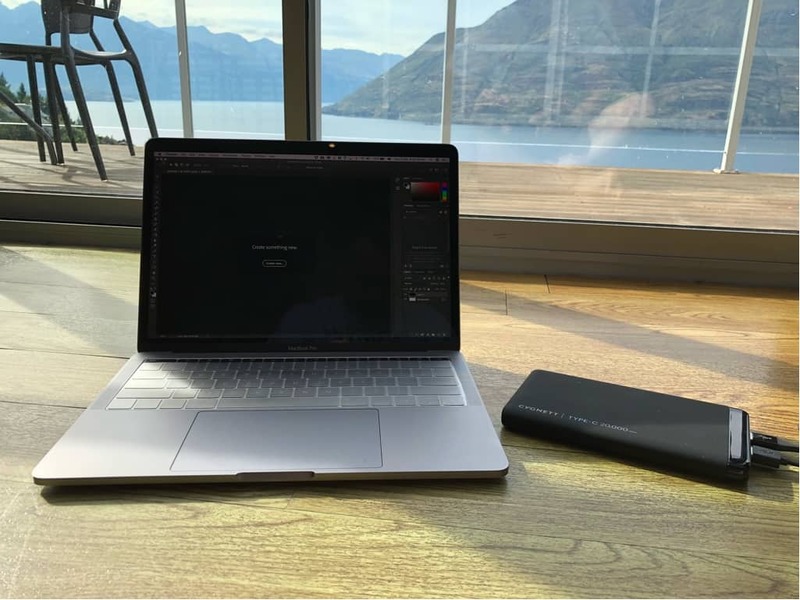 It has such a huge capacity that you should never deplete its battery in one whole day unless you really work it off non-stop with multiple devices charged all day. 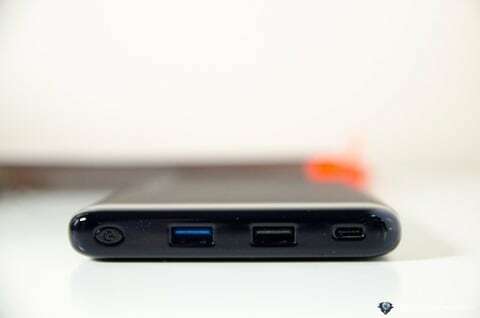 Unfortunately, the packaging only includes a USB-C to USB-A Cable (will be used to charge its battery) so you do need to provide your own charging cables to charge your devices, including a USB-C to USB-C cable to charge USB-C devices. 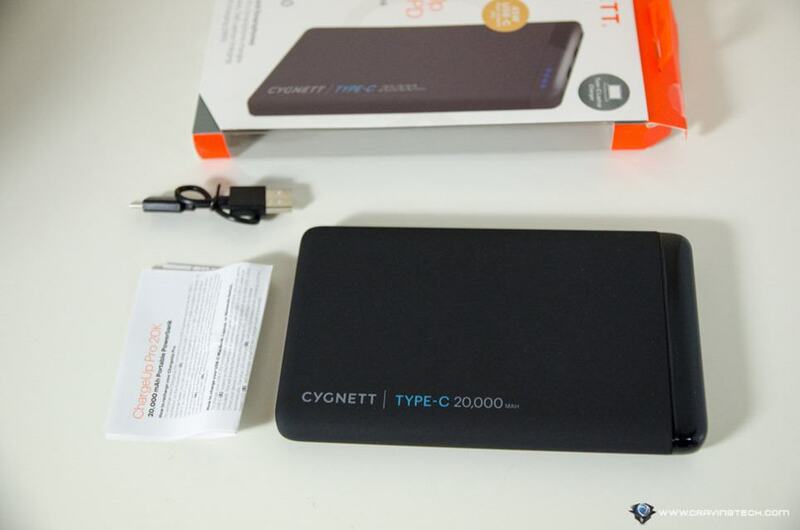 Cygnett ChargeUp Pro 20,000mAh USB-C is one of a kind Power Bank. Its 45W USB-C output is pretty impressive and users do not need to manually select different ports for different devices. 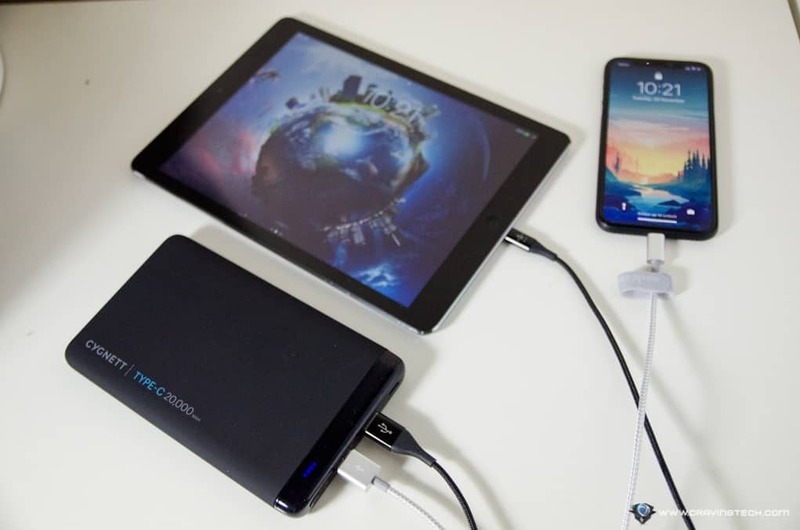 It’s all just plug-and-charge, and being able to charge multiple devices at the same time (including a laptop) is definitely a life saver! I have it with me at the moment while travelling to New Zealand and I’m quite surprised at how much capacity it offers. I recharged my iPhone X twice (check out my review on the iPhone X) and a portable Bluetooth speaker while driving, and this thing just keeps on going! Cygnett ChargeUp Pro is reasonably priced at AU$169.95.